The Jane Austen Literacy Foundation increase literacy rates by giving children in developing communities access to e-readers and e-libraries. 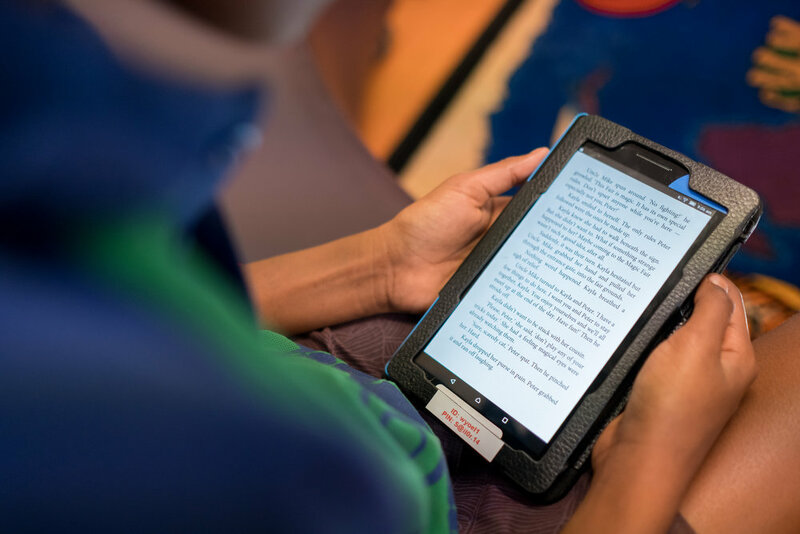 Why we fund e-readers and e-libraries: The experience of reading a physical book is one that many of us cherish, however technology increases a child's opportunity for learning and literacy. Providing a school with e-readers and an e-library delivers a cost effective in-class teaching tool (as all the children can use the same books at the same time), as well as providing access to a wide range of reading materials and text books. 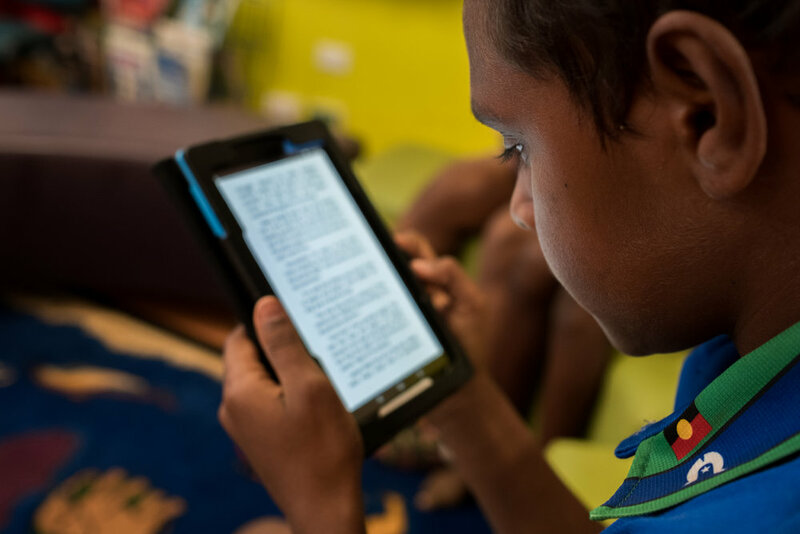 Providing a child in a remote community with an e-reader provides access to a much broader range of literature than donating physical books. How literacy resources are delivered to the communities that need them: Resources funded by the Jane Austen Literacy Foundation are delivered our partner charities - expert, capable and reputable not for profit organisations with similar missions and values - as this is far more cost effective than establishing duplicate infrastructures. This ensures that your donation to the Jane Austen Literacy Foundation is not spent on large operating costs and, as a result, 100% of the money you donate will be spent on literacy resources for developing communities. We are currently raising funds to buy e-readers and a new e-library for schools and readers across Africa and India (in partnership with Worldreader) and to provide e-readers and a larger e-library for remote Indigenous children in Australia (in partnership with the Indigenous Reading Project), see below for more details. When you make a donation you will be asked which of these projects you would like your donation to support. As an example of our work with Worldreader, we have recently funded e-readers and a new e-library for the Suhum MA Experimental C School in the Eastern Region of Ghana. Suhum is a peri-urban town and Worldreader have been working with the school for six years - more details below. Literacy rates among Australia’s indigenous population are considerably lower than their non-indigenous peers (only 31% of remote indigenous children reach national minimum standards for reading) and access to reading materials can be an issue to children living in remote communities. The Jane Austen Literacy Foundation works in partnership with the Indigenous Reading Project (IRP) to provide e-readers and access to an e-library to children who need help and want to work at their literacy skills. IRP’s ground-breaking program is proven to improve literacy rates among this group. Founded in 2012, IRP’s work and values are a perfect fit for the Jane Austen Literacy Foundation – both organisations are working to improve literacy rates using technology and both spend 100% of donations received on funding literacy resources and programs. The program focuses on children who are performing poorly but are motivated to improve. IRP test them and offer them a place in the program with the incentive of owning a tablet for improved reading ability. The Jane Austen Literacy Foundation's first donation of AU$2,000 was used to double the size of the IRP e-library with the purchase of 170 new titles. We are now raising AU$2,000 to support ten children with e-readers and the IRP program. "This support could not have come at a better time for us. Last year we had a very high demand for our e-books with a 48% increase in borrowings. It was a big problem for our students as we’d already used up our budget! This meant that there were times when our kids couldn’t borrow the books that they wanted to read. We now have over 170 new titles in our collection. This will ease demand and give our students an immediate benefit. Thank you to everyone at the Jane Austen Literacy Foundation, this has made a real difference to these children and their literacy learning"